Miscellaneous ramblings that don’t seem to fit anywhere else. 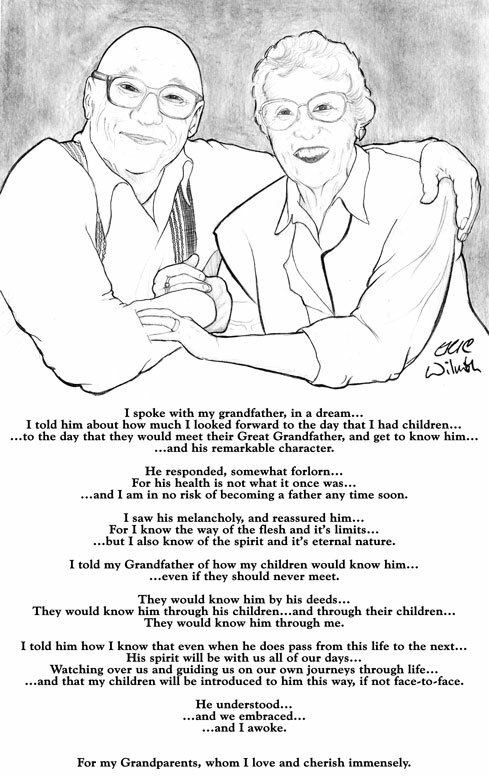 A portrait of my grandparents…Ted & Helen Townsend…two of the greatest people who’ve ever lived. This here’s a stopgap post, just so you know there’s new material, right around the corner, yo! Stay tuned! E! Archetypal Images — Where Iconic Designs Are Born!